Canon will be announcing a new addition to their EF-M lens line up. 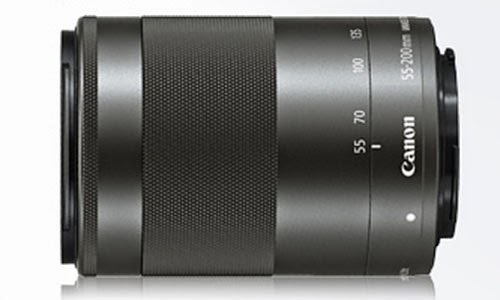 The new lens is for the EOS-M2 camera and called the EF-M 55-200mm f/4.5-6.3 IS STM. Recently, others reported the EOS-M camera disappeared from Canon's USA website, suggesting the line may be dropped completely outside of Asia. I cautioned against jumping to any conclusion like that. My judgement is Canon will stick to the EOS-M2 line and introduce more STM prime and zoom lenses in the future. Adopted one glass molded aspherical lens and one UD lens. 22% shortening the overall length compared to the EF 55-250 IS STM. EF-250 mm in 1980-IS 31% weight reduction compared with STM equipped with a camera shake correction of the effect of 3.5 stops.